Support our work... For Free! you can support our life-saving work with any purchases you make! We encourage you to add this link to your favorites bar, and always visit Amazon this way- at no extra cost to you, NYS RTL will receive .5% of your purchase! Protect Babies from Planned Parenthood! Planned Parenthood has been exposed for their callous harvesting of baby body parts. 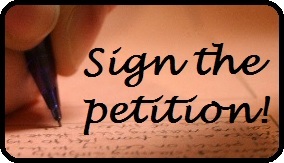 Sign the petition to help protect innocent babies and their moms! Protect your rights and help those who want to help you in case you are unable to speak for yourself. A will to live respects life far more than a "living will." Are you registered to vote? Register online today! Follow NYSRTL on Facebook for timely news and political updates! Host a party for life! Would you like to throw a house party or barbecue to help raise funds for the cause? Call us at 518-434-1293. See more ways you can get involved.